Clamp used for Trunnion Gun, 3/4 tub.. 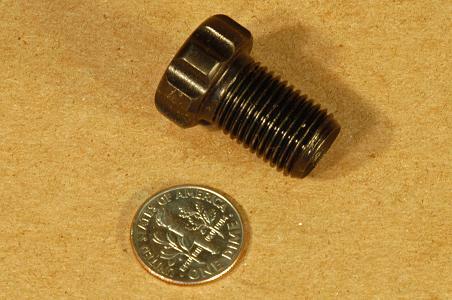 The 1/2-20 squib holding bolt itself, with a dime for scale. The problem with these manufacturing photos is that we get splashed with coolant taking them. 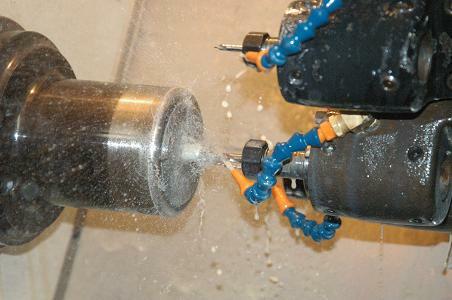 This is drilling the squib pocket in the end of the bolt.